The shoot-em-up Graze Counter will be ported to Switch, Bikkuri Software has confirmed. A release window has not been confirmed at this time. Graze the enemy’s bullets, Charge them head-on, and Wreak Havoc!! 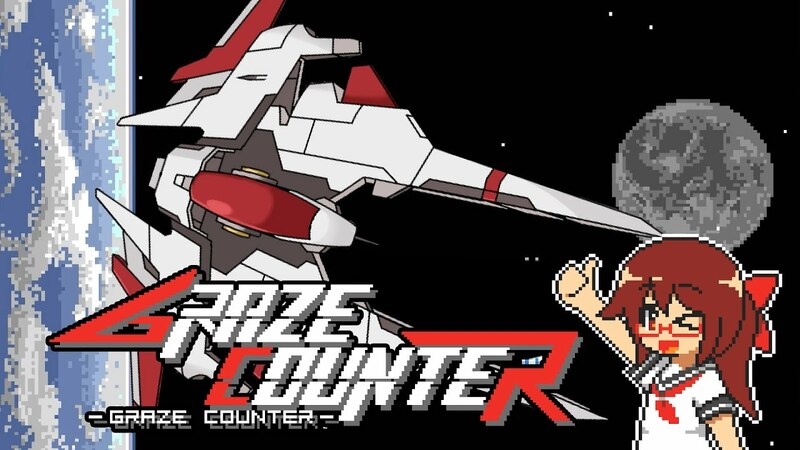 An exhilarating and dangerous shoot-em-up! This is a game for those with courage and survival instinct! It is the 23rd century, and the virtual network “EDEN” has brought about an era of peace and prosperity. One day, it refuses access from the administrator – seemingly out of nowhere. The 2.4 million civilians connected to the network became hostages within cyberspace. To release those hostages, a human must fight the now evolved network and win. Two capable fighter pilots have been chosen for this difficult task. Graze the enemy’s bullets to charge the Graze Counter Gauge! Every fighter can use this gauge to unleash powerful counters. In addition, by collecting the stars that enemies (and countered bullets) drop, you can charge your Break Gauge. When this is full, you can enter “Break Mode” and do some serious damage to your enemies! Dodge your enemy’s bullets by a hair, charge your energy, and annihilate the enemy with your counterattack! – 8 fighters / characters (2 to start and 6 unlockable ones). – 3 difficulties: Novice, Arcade, and Expert. – A tutorial to learn the game’s basics. – A mission mode, where you’ll clear difficult tasks.